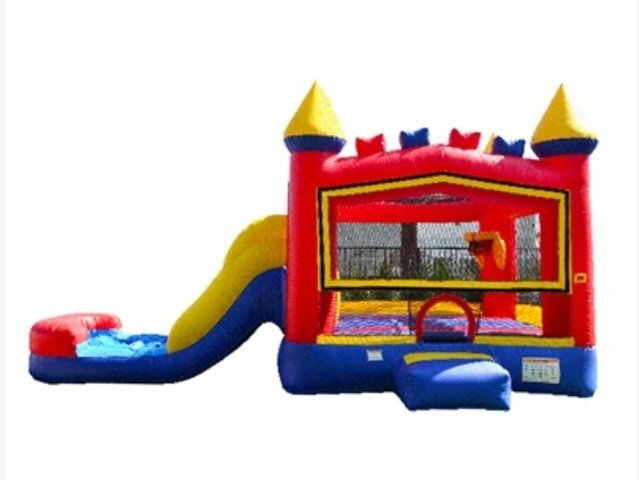 Economical 13' x 13' bounce area with basketball hoop and slide. Ideal for ages 10 and under, but adults can play, too. �Staple for every backyard party!